She Is Sparkling Happiness is all the rage! Editor's Note: I totally hate coming up with cute blog titles. I am going to challenge myself to name my posts after songs from here on out. :) I mentioned previously I have done a ton of “self-help” style work over the last few years. I wanted to share one of the most valuable lessons I learned in hopes that someone reading this may benefit from it. Change comes when your desire to be someplace new is stronger than your desire to stay the same. Sounds simple enough, right? Any time you change something there is a natural evolution that occurs to lead you to your goal. However, people often rush the process just to get to the other side when the magic actually takes place in the during. Change is the vinyasa of the yoga world (inhale high plank > exhale chaturanga > inhale updog (or cobra) > exhale down dog). You could just skip to down dog but you're missing the beautiful soreness of the in-between! I forget where I read that so if you know please leave it in the comments! 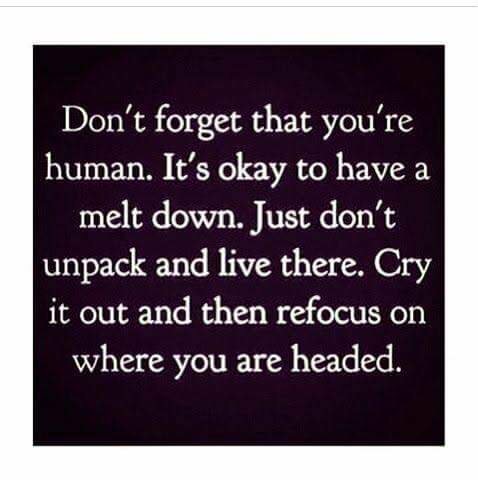 Unpack everything that's detracting from your happiness but then keep in mind that you need to tackle it. You can't just live in this misery and hope for the best. As Taking Back Sunday taught us hoping for the best is hoping nothing happens. If you want change, you can't stay in the same, old spot and magically feel differently. Now that you have it all out in the open you need to do the tough part…. break it open. Let's say you're fed up with your current job and in desperate need of change. In order to actually come out the other side successfully you need to be open to exploring every possibility. Is it a good time to go back to school? Could you take the skills you have and apply them to another field or position? Do you have a passion that could be a job? Could the problem with your job actually be something outside of the work itself (your location, other work responsibilities, the impact it has on your life balance). The times I've been the most miserable at work often had nothing to do with my job itself but more with the people and processes I was spending my time with. Examining your situation through the lens of a stranger always helps too. How would you explain your current state of disarray to someone you just met? Simplify and then study the results. Analyze the facts. Remove the emotion (sooo much easier said than done, trust me I know). You'll be amazed how quickly things come into focus when you remove the feelings you tie to situations. The most important part of the break through is the feeling it gives you after the dust settles. Sometimes you're happy as hell, sometimes you're relieved, some times you're saddened by the realization that you're letting go of something you once treasured. Remember, the things that define you should evolve with you.